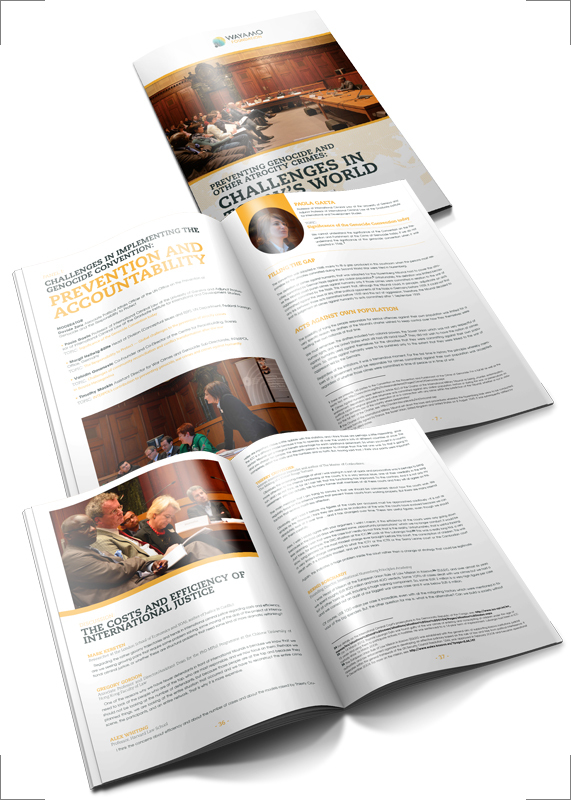 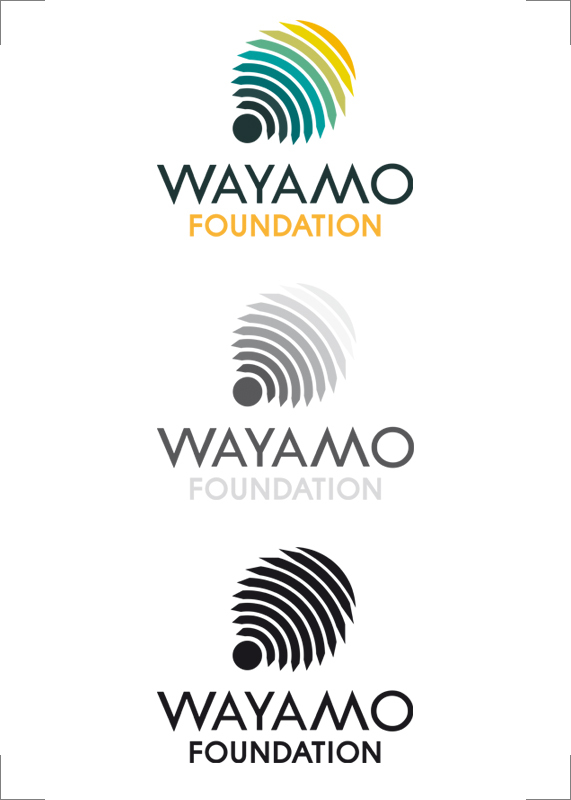 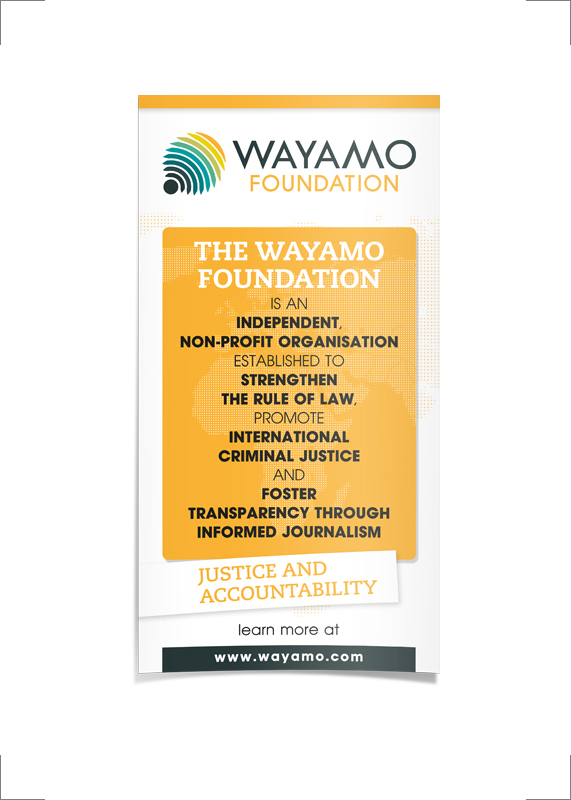 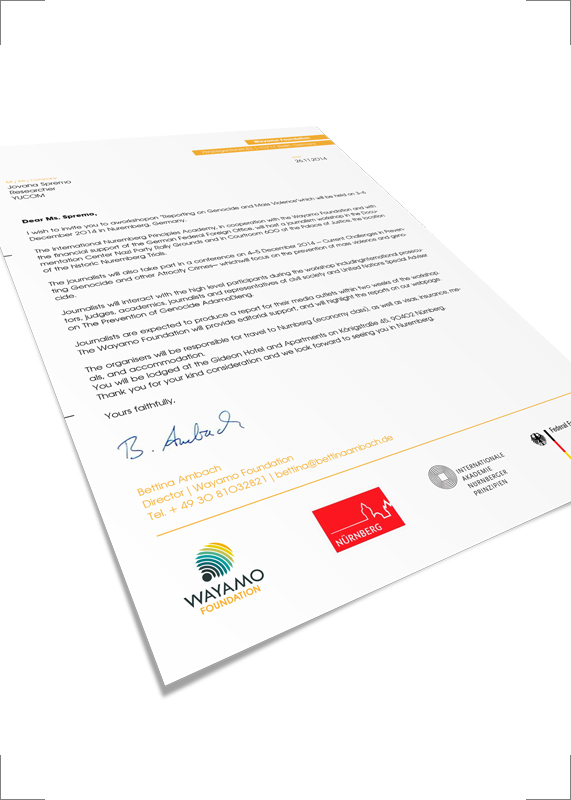 The Wayamo Foundation is an independent, non-profit organisation established to strengthen the rule of law, promote international criminal justice and foster transparency through judicial capacity building, mediation and informed journalism. 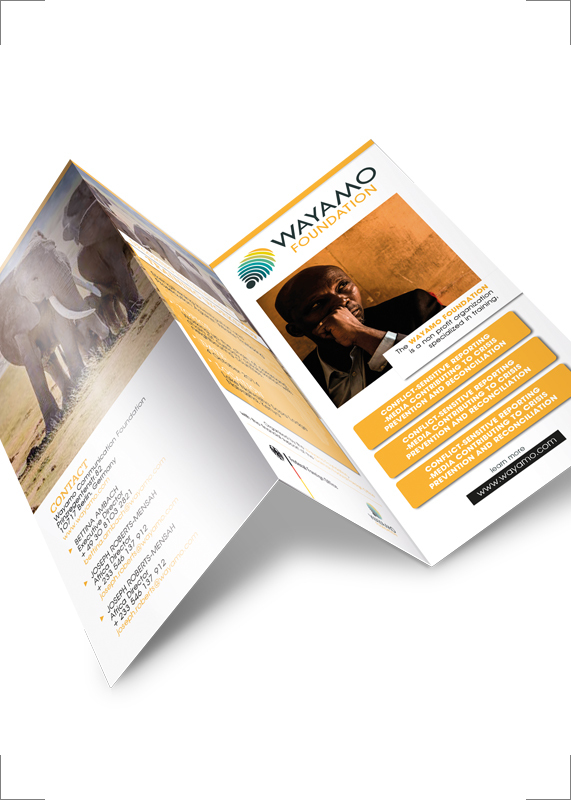 I created the whole CI including the logo, business cards, letter head, flyers, brochures, magazines, banners, roll-ups, the website and various other things. 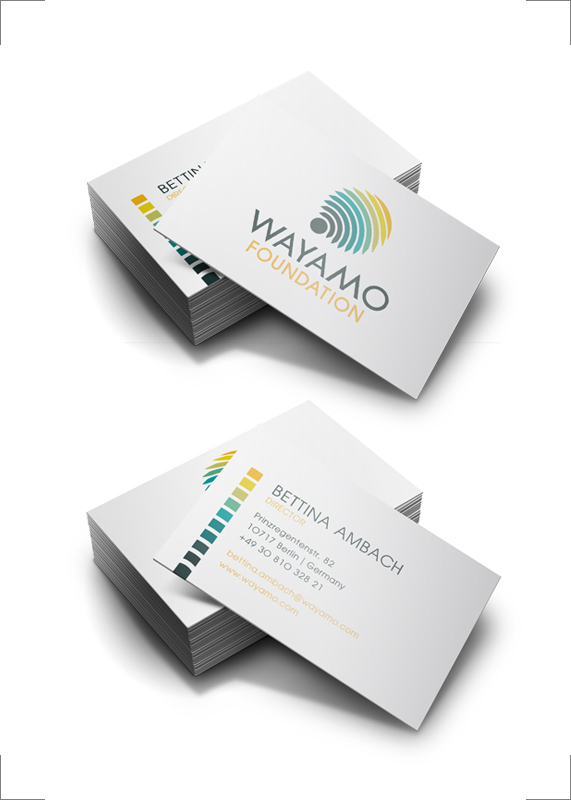 You can find some photographs that show the works on my Blog.